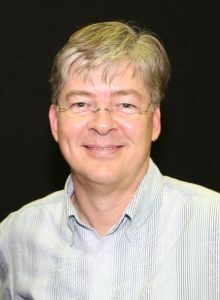 Moderator Carol Willing, who is a member of the steering councils for both Python and Project Jupyter, referred to them as “four individuals who profoundly impacted our world,” and this was not hyperbole. It was the first of what’s intended to be an annual benefit event to support CSforAll, a group founded in 2016 to promote “high-quality computer science” for students at every grade level, and to support “student pathways to college and career success.” It all took place in a hip Seattle facility known as the Collective, “an urban basecamp for the mind, body and soul,” as it describes itself. Once the preliminaries were out of the way, Gosling kicked the talk into high gear when he gave the audience a fond glimpse into the early history of Java, saying that instead of being a personal project, he was part of a larger team of about a dozen people. Gosling: We were trying to understand a particular domain… We spent a lot of time talking to people who built software for embedded systems, trying to understand pain points… Out of this large pie of a project, my slice was to make things a little easier from a programming language point of view, and fix the pain points that came from the programming language part. It started out as kind of “Do a better C,” and it got out of control. The rest of the project really ended up just providing context. The only thing out of that project that survived was Java. But it was directed at a set of pain points that happened to be about people who were living outside of data centers and people who were getting shredded by problems with networking and security and reliability. They had to build things that ran in hostile environments, like, in homes — which, any home with a child in it is a hostile environment for an electronic device. 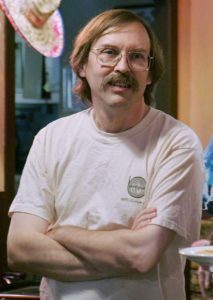 Willing then joked, “Speaking of hostile environments — Perl.” (Before adding “I love you Larry.”) And soon Larry Wall was sharing his own remembrances of Perl’s early days — and how he’d approached the design of the language as a linguist rather than a computer scientist. Wall: I almost actively ignored some of the computer science literature of the time, and said, “Well, what can we throw together in one pot that will work more like a natural language?” Instead of putting in a university campus and deciding where all the walkways are going, we’re just going to see where people want to walk — and then put shortcuts in all those places, and build it more as a network, not as a terribly orthogonal computer science-y or mathematical thing. That turned out to be in the right place at the right time for bootstrapping a lot of the web. And it also got used a lot for system administration. But of course, the story of Perl has a dramatic inflection point. 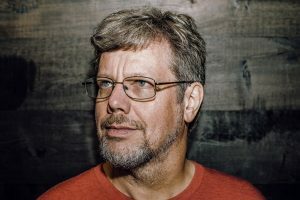 “In the year 2000, we took a step back, and basically said ‘We’re going to break everything that needs breaking.’ We kind of did the same thing as the Python 2 to 3 step, except instead of breaking a few things, we decided to break everything that needed breaking,” he said. Wall also reminded the audience that there was a happy ending. “Perl 6 did come out two years ago. It’s getting faster.” [The audience applauded.] Then Wall revealed that over that 15-year development cycle, they’d come up with a list of 60 design principles. Willing: There will be no violence on stage. Willing: Wow. Would you like to expand on that, Larry? Willing: The Jupyter notebooks. A lot of science people, data scientists, get a lot done in actually a pretty simplistic IDE with a dynamic language most of the time. Gosling: (Teasingly) They could get a lot more done. But Hejlsberg, a TypeScript core developer, pulled the conversation back to the importance of a type system, and how they can lead to productivity-enhancing tools. Wall also gave a brief history of types in Perl — where initially, all types were treated internally as strings. But in the redesigned Perl 6, “we wanted to do object-oriented programming better than these languages” (gesturing to the other panelists). 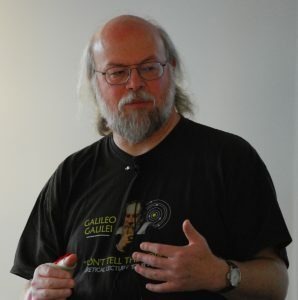 He also ultimately agreed that types were important for the culture of a language, saying the redesign to create Perl 6 involved finding (or creating) “the right peg” on which to hang each piece of information or meta-information. Wall pointed out that good lexical scoping also helps with refactoring. For the last question, Willing asked something philosophical: what had these top language designers found most rewarding? And Wall said, emphatically, “The people. By far.” The audience began applauding, and Rossum joined in. We’re not talking about a star relationship here, of each of us to those individuals. We’re talking about the second order, community 2.0 kind of effects. It’s one thing to see them getting help from you. It’s another thing to see them helping each other… To see a community that is learning how to love — you know, kind of building a little bit of heaven on earth. Watch the complete conversation here. Celebrating the 50th anniversary of the IETF’s “Request for Comments” series with a commemorative new retrospective request for comments. 90,000 developers weighed in for Stack Overflow’s annual survey. Researchers create a hack-proof cryptography library — with a mathematical proof of its security. What Bell Labs looked like in 1969. Apple TV+ wants to inspire the next generation of programmers with a show about a new Muppet: a girl who codes. The post A Conversation with the Creators Behind Python, Java, TypeScript, and Perl appeared first on The New Stack.